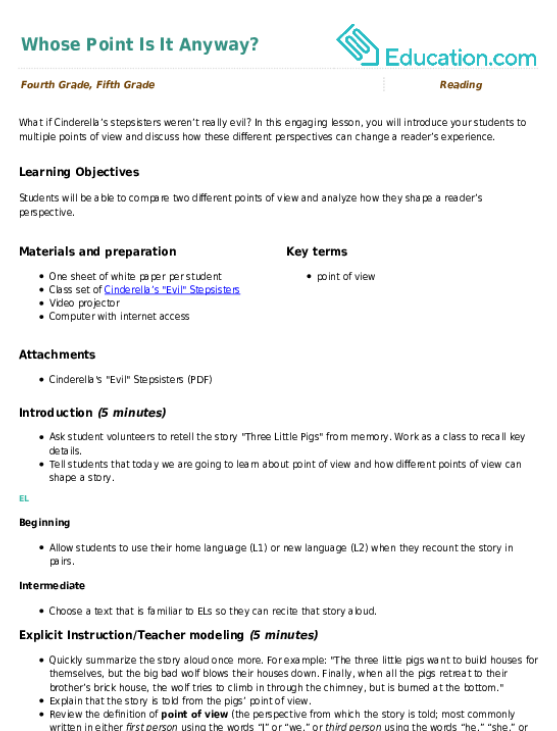 Do you understand how point of view impacts a text? 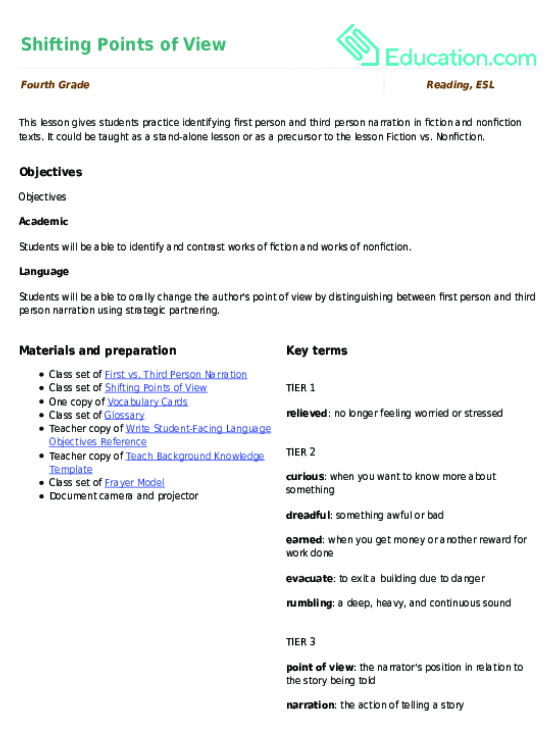 Students will practise changing the narration and point of view of short fiction and nonfiction excerpts to help them build their reading and writing comprehension. 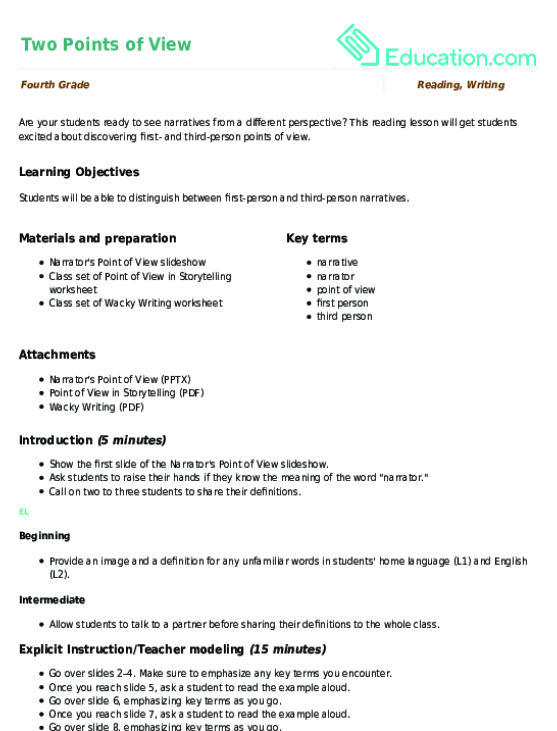 Use this glossary with the EL Support Lesson: Shifting Points of View. Use these vocabulary cards with the EL Support Lesson: Shifting Points of View. If your little one loves to read, teach her about the differences in narrative point of view with this worksheet. Students will practise using pronouns to support their understanding of point of view. 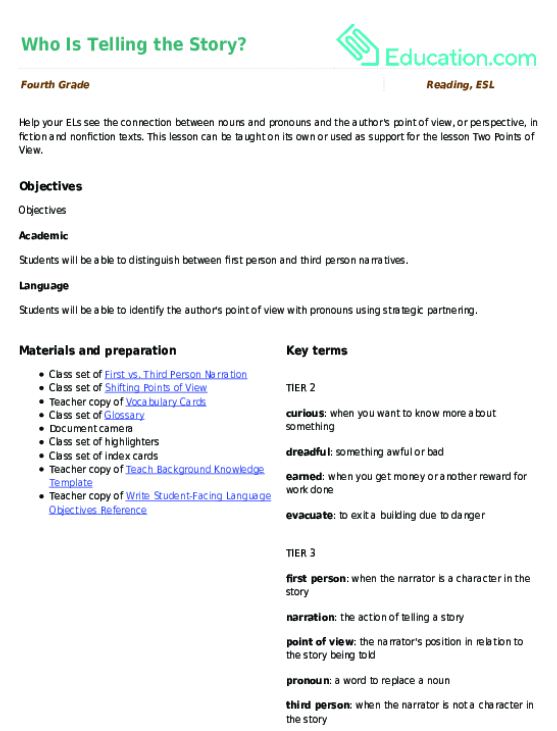 This lesson can be taught on its own or used as support for the lesson Two Points of View. In this engaging lesson, you will introduce your students to multiple points of view and discuss how these different perspectives can change a reader’s experience. Exploring Point of View: What Do You Think?